Imagine this: It’s January 1st, the ball has dropped, the confetti has flown, you’ve toasted your champagne and you’ve nursed your New Year’s Day hangover. Now what? If you haven’t given any thought to your New Year’s resolutions for 2018, we’ve got an idea: Why not head into January with a great trip and a cheap flight (which you’ve found on Cheapflights.ca, of course) already on the books? To help you ring in the New Year on the right foot, we’ve taken a look at our data, crunching the numbers — everything from flight prices to number of searches — to pick out the best places for Canadian travellers to jet off to in January. Whether you’re looking for an up-and-coming city, a wallet-friendly getaway, a friendly weather forecast or a bit of both, we’ve picked out a spot for you. And if you don’t plan on travelling in January, but you’d still like to tick off that “travel more” resolution sometime later in the year, we’ve highlighted a bonus suggestion for you, too. The Great Wall of China via Pixabay.com. When looking for a budget travel experience, a great way to start is to think outside the box. While a January trip to China may not have you returning home with a tan, it will leave you with some unique experiences from a unique country. And with average flight prices in January from Canada to Beijing down 22% from the monthly average, these memories will come at a wallet pleasing price. 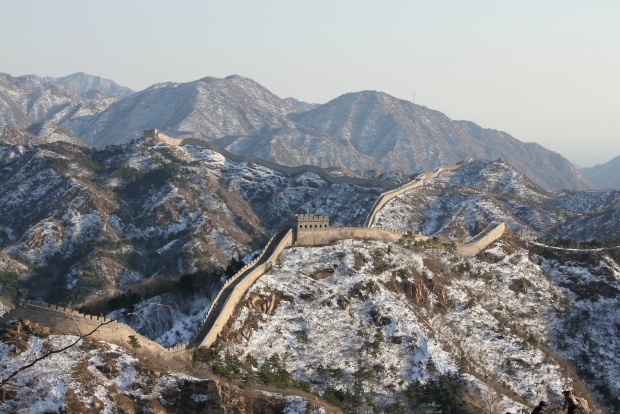 Make the most of the New Year in China by seeing the Great Wall — an impressive sight at any time of year — under a blanket of snow. Beijing is also a great starting city for those looking for a winter sporting experience. Pay a visit to Nashan, Wanlong or Jundushan ski resorts for an off-the-beaten-path Chinese adventure. And it doesn’t have to be all cold and snow. You can also set aside some time to warm up with a visit to one of the many hot spring resorts in Beijing’s Changping District. Sri Lanka’s tea country via Pixabay.com. Warm, sunny and green. These words do not describe Canada in January. But lucky for you, they do describe January in the island nation of Sri Lanka, which is only a plane ride away. January in Sri Lanka brings an end to the rainy monsoon season, which means hot and sunny weather across southern beach towns like Galle and the capital city of Colombo, and warm and sunny weather high tea country cities like Ella and Kandy. 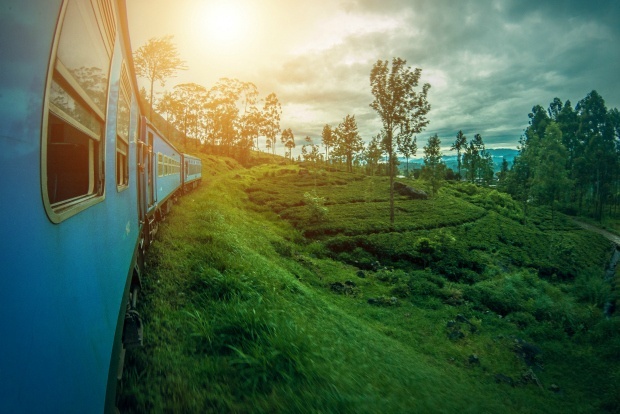 Bask on the beach in Bentota, take a train ride through the lush hills of tea country to score some famously Instagramable views, track leopards at Udawalawe National Park, visit the elephants at Pinawalla Elephant Orphanage and hike the massive Lion Rock fortress at Sigiriya. All of these add up to a true Sri Lankan experience. When travellers talk about “good weather,” they often mean warm weather, but that doesn’t always have to be the case. 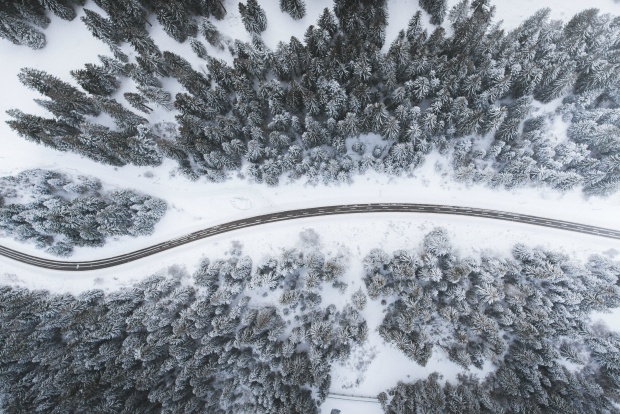 January may be a chillier month, but if there’s one thing that makes cold weather good weather, it’s outdoor sports, and if there’s one place that’s good to get your winter warrior on, it’s the Swiss Alps. Home to some of the best skiing and snowboarding in the world, Switzerland has a lot to offer a January traveller. And with average January flight prices from Canada to Zurich, Switzerland’s largest city, down 14% from the monthly average, January offers great prices, too. Nearby ski areas like Hochstuckli, Amden, Flumserberg are accessible in around an hour by either car or public transportation, and they offer runs for either novice skiers or the more experienced. St. Kitts and Nevis via Pixabay.com. Jetting off to a warm and sunny Caribbean beach is hardly a new trend for January travellers. But after months of recovery from 2017’s devastating hurricane season, the Caribbean is ready to head into 2018 with welcome mats rolled out for international travellers. Having avoided much of the this year’s damaging weather, the island nation of St. Kitts and Nevis stands out as a rising star for Canadians looking to escape the cold. Search interest in flights from Canada to the nation’s capital city of Basseterre are up 48% over monthly averages for travel in January. 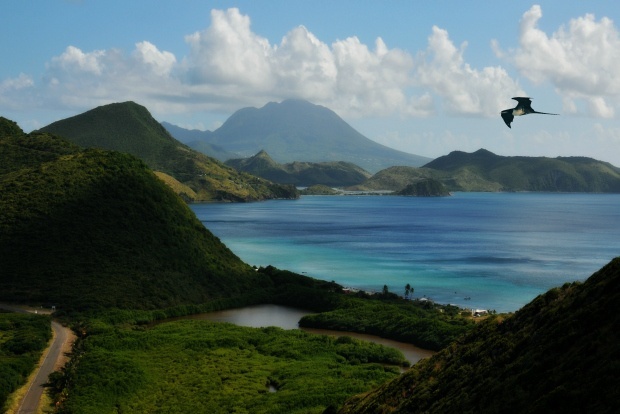 Those hip early adopters can lounge on Pinney’s Beach and the beach at Frigate Bay, tour historical attractions like Basseterre’s Independence Square and the Brimstone Hill Fortress National Park, get into nature with a hike up the volcanic Mount Liamuiga or take a relaxing ride on the St. Kitts Scenic railway. For advanced planners: Las Vegas, Nevada, U.S.
Las Vegas, Nevada, U.S., via Unsplash.com. Las Vegas is always a favourite among Canadian travellers, and January is a great time to book a trip to Sin City for later on in 2018 (once you’ve fully given up on those resolutions like “save money” and “get more sleep”). 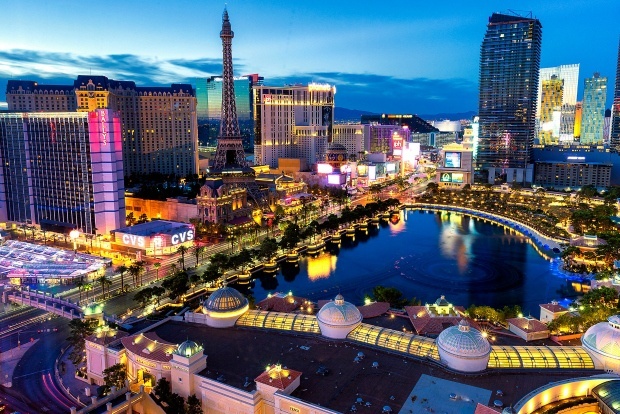 Book your trip to Las Vegas in January for travel dates in early May to get the best bang for your buck. This will put you in a great weather window too, as temperatures will be warming up from their early spring lows but not quite at summer highs. And while you may be over the aforementioned New Year’s Day hangover, if you find yourself sporting a new headache after a night at the casinos and clubs, check out our blog on how to do Las Vegas on a hangover. *Just so you know, the data for this story was compiled on Oct. 31, 2017, and compares the monthly average airfares found a month or more in advance on Cheapflights.ca for travel dates between Jan. 1, 2017, and Jan. 31, 2018, as well as a comparison of month-over-month relative search popularity from departure points across Canada to the destinations above. This piece is intended as a guideline only. Check the latest up-to-date prices and search for flights at Cheapflights.ca. Want to find our our picks for months other than January? Check out November and December. Do you have any other recommendations for where Canadians should travel in January? Let us know in the comments below.